.NET PDF Printing library. Print all your PDF documents in a breeze. UniTwain 2.0 has been released! With the 2.0 release UniTwain now introduces many new and improved existing features. As always existing customers can upgrade their current installation free of charge. 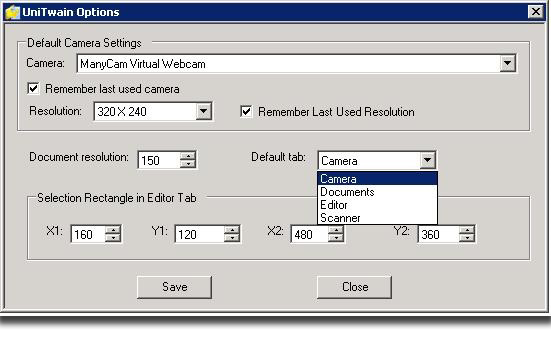 The most wanted feature our UniTwain users requested was to add an option to change the Camera resolution. 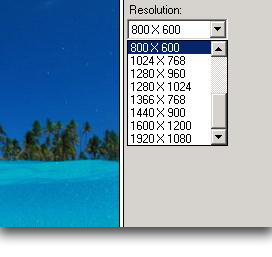 In previous versions of UniTwain, that was not possible and resolution was always set to 640x480px. In the new UniTwain version, you can choose between any resolution that the selected camera supports. Also, there was more than a few inquires to add the possibility to define a default web camera, document resolution and default tab (Camera / Document / Scan). This way you can save time for the most common scenarios. We made a changes to Selection tool used in the Editor tab. 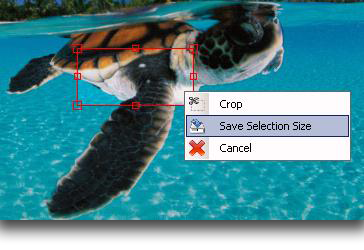 Now is possible to define default Size and position of the Selection tool. This way you can predefine your most used selection on images. Additionally, we improved the stability and performance of UniTwain. Now you will have flawless performance on any Windows operating systems, from XP to Windows Server 2012 R2.